Congratulations to the Ottawa Sketchers who had their artwork included in this issue and thanks to Susan Rogers (Salt Spring Island, BC Urban Sketcher) for writing and organizing the piece. 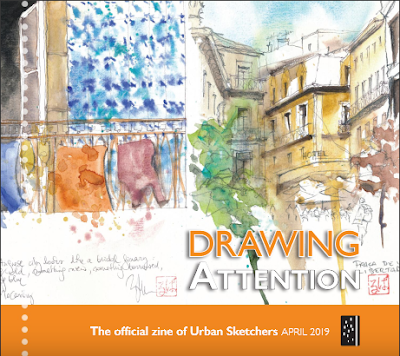 Read the April 2019 issue of "Drawing Attention"
I am in between sketchbooks at present and I have had trouble choosing a new one so instead I have been trying out various "new-to-me" papers. This watercolor paper was quite inexpensive ($21.99). The paper is acid free, natural white, cold pressed, 140 lb. (300 gsm) watercolor paper. European milled. 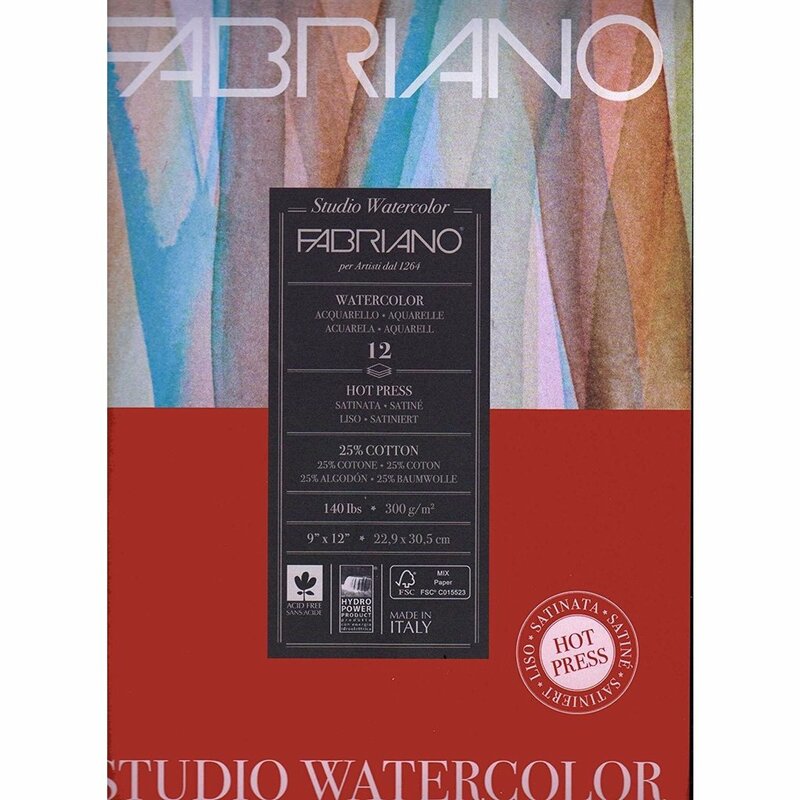 100% cotton paper for watercolor. 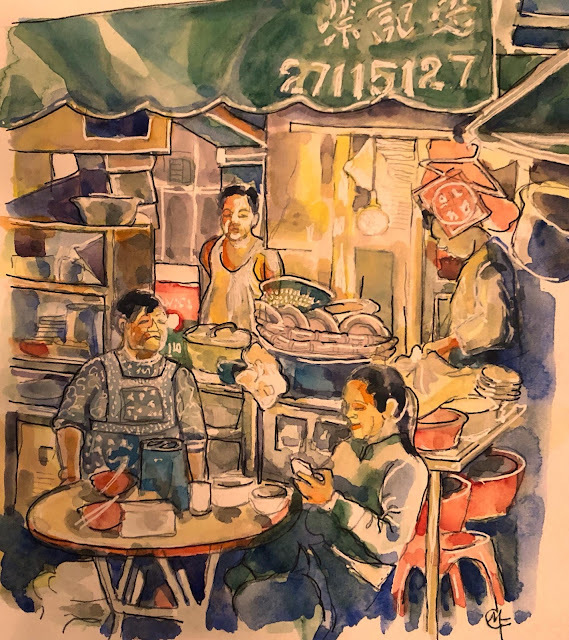 Hong Kong, Ink and watercolour Bee Creative watercolor paper. 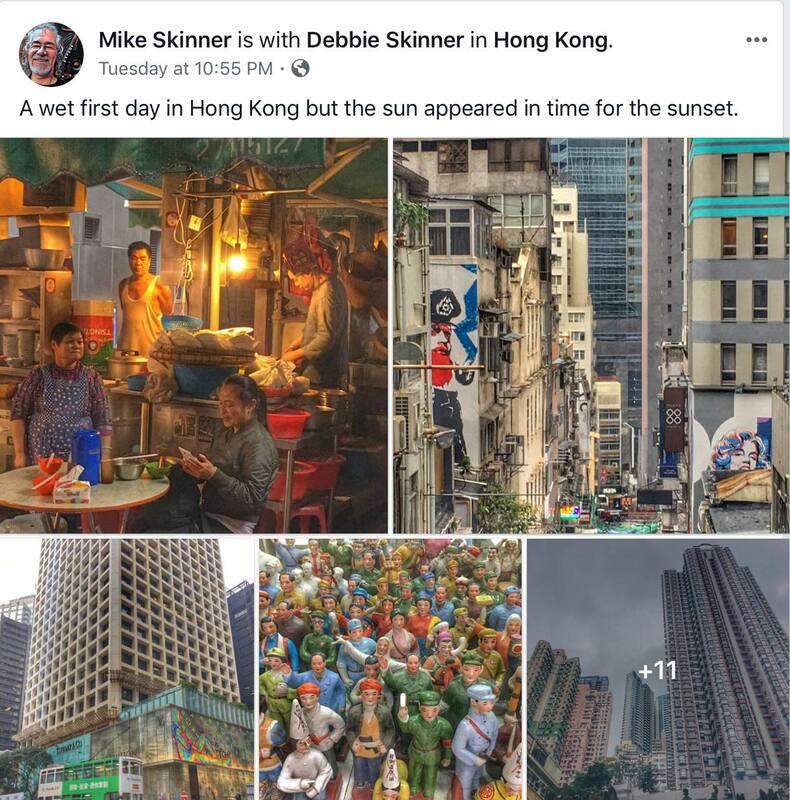 The sketch above was inspired by a photograph on Facebook posted by my friend Mike Skinner when he was over in Hong Kong. It was actually the very first sketch that I did on the new paper and I was immediately satisfied. I did several other quick sketches on the paper. 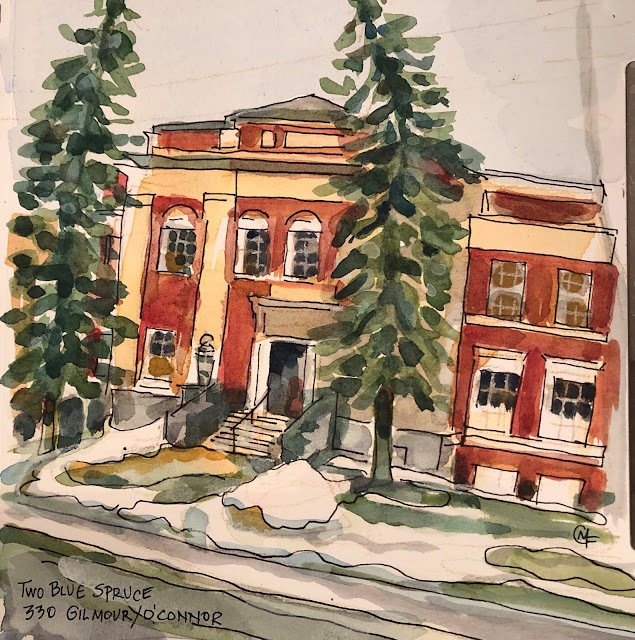 The most recent one was of the two blue spruce trees at Gilmour an O'Connor. Every time my Labrador retriever Lexie and I walk by these two incredible trees we notice how much the snow is melting away more and more each day. I'm really happy with the paper and how it handles my pencils, inks and watercolours and the only complaint is the double wire binding. I'm not a fan of coil binding for my sketch books but these coils do create a flat surface and the pages are also micro-perforated to true size for easy sheet removal. I just purchased some hot press, 140lb (300 gsm), 25 % cotton watercolor paper and thought I would try it on a portrait I'm working on for a newsletter. "...made of a valuable mixture of lignin free (cotton 25%) and cellulose pulp. 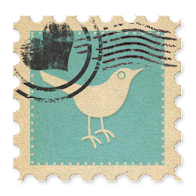 The absence of acid guarantees the inalterability over time of the paper. Produced with 100% of E.C.F. pulp (Elemental Chlorine Free), F.S.C. certified from forests responsibly managed respectful of environmental, social and economic standards. It is sized internally and externally, guaranteeing optimal absorbance. " 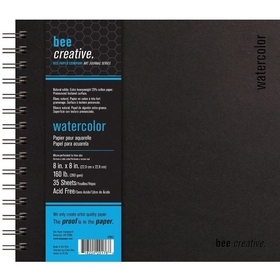 At $13 (12 sheets), I may continue to use this paper for my field sketches. I will keep you posted! Happy New Year and Happy New Directions! There was insufficient time to post any news to my art blog in December 2018 for good reason. 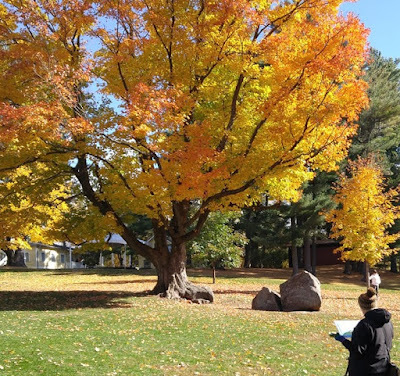 I was invited to submit a proposal for an exciting teaching opportunity this summer (July 2019) and I worked to create some documents outlining the workshop learning goals, basic supply lists, etc. I also created my annual calendar that I send to my family for Christmas with some of my 2018 artwork. I was invited to a Frederick Franck Study Group which I am very excited about. Death Cafe at the Cynthia O'Brien and Barbara Brown Exhibition "LifeCycles"
Movie (and Q& A with Anne Innis Dagg): "The Woman Who Loved Giraffes"
I met about a potential portrait project that will highlight stories of people living with mental health issues in Ottawa. I responded to an artist call issued by Oasis which is a community outreach program that offers information, education, and support for caregivers of people with mental illness living in Kanata and the surrounding area. 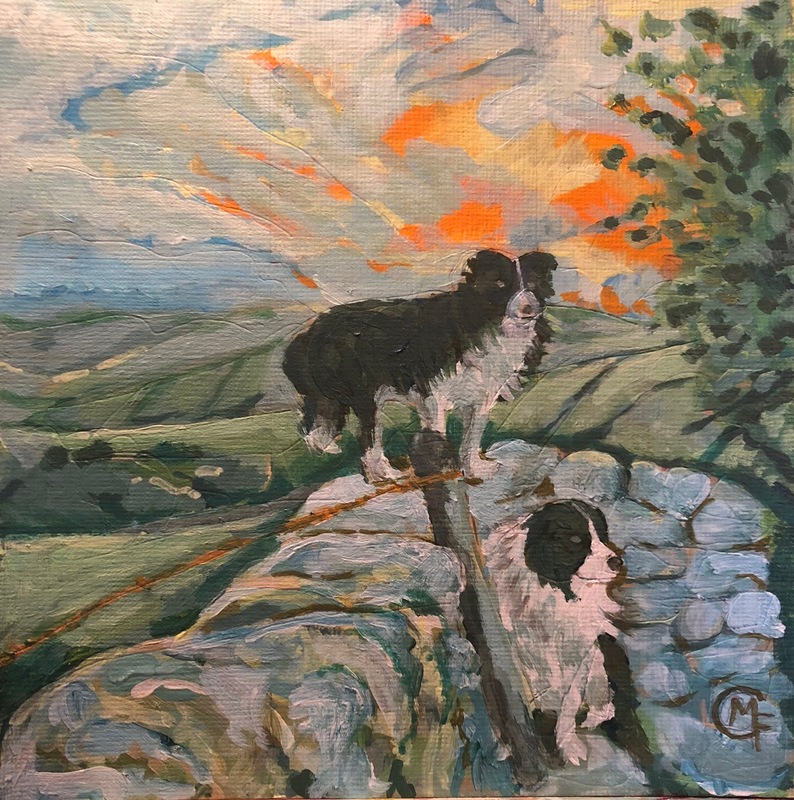 They are holding their FIRST fundraiser and looking for some donated art! to any new and exciting art inspiration that I read, hear, watch or see. 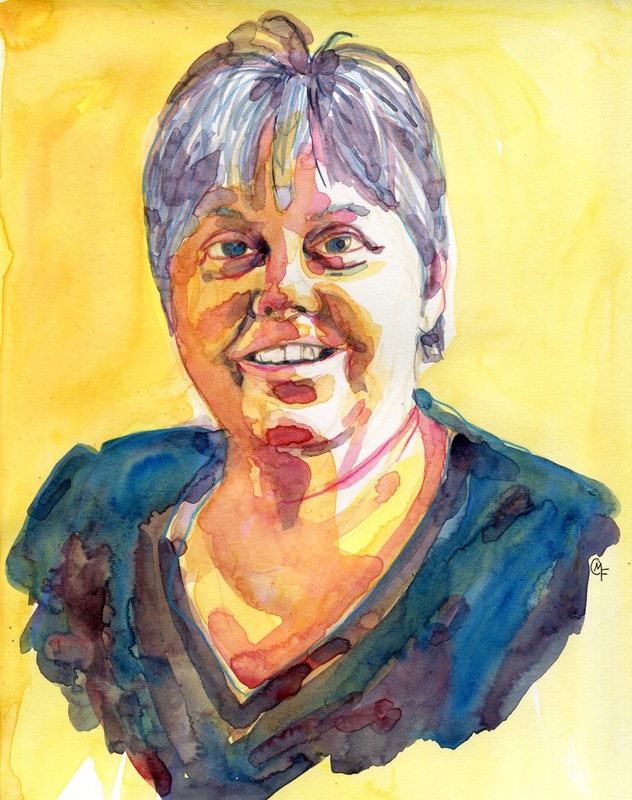 A Lifetime of Making Art But New to Selling Art Online is an interesting article about selling your artwork off- and online highlighting older artists (+50) and women artists whose work is most often overlooked in traditional galleries. 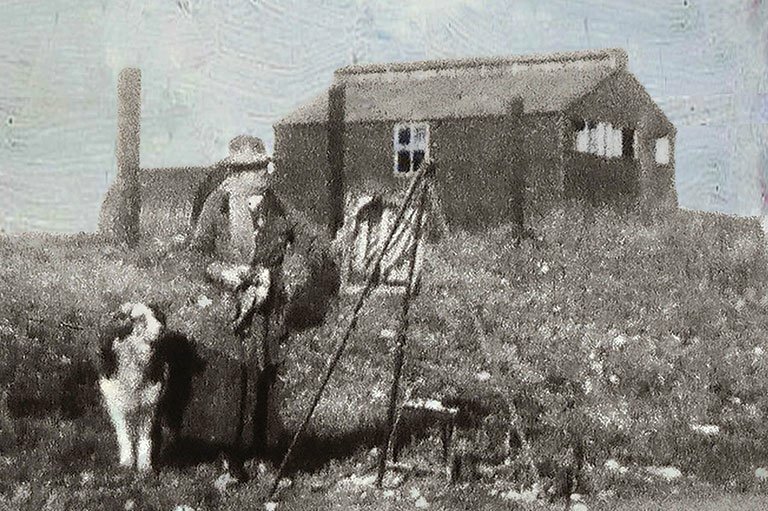 Podcast: The Savvy Painter: In January I listened to Scott Gellatly and Robert Gamblin talk about colour and pigment. 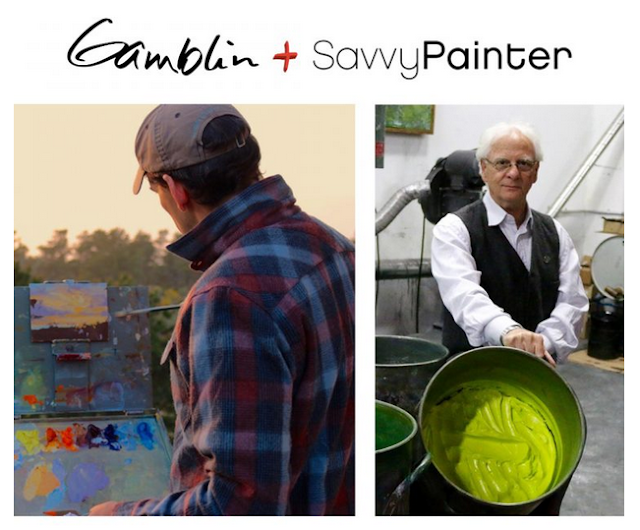 Podcast: The Savvy Painter: In January I listened to Vincent Giarrano: "Exploring the Role of Truth in Art" On Vincent’s five-year transition plan, I love that he said: “enjoy the experience”; “challenge yourself” and “never stop learning"
Scott Gellatly and Robert Gamblin talk about colour and pigment. 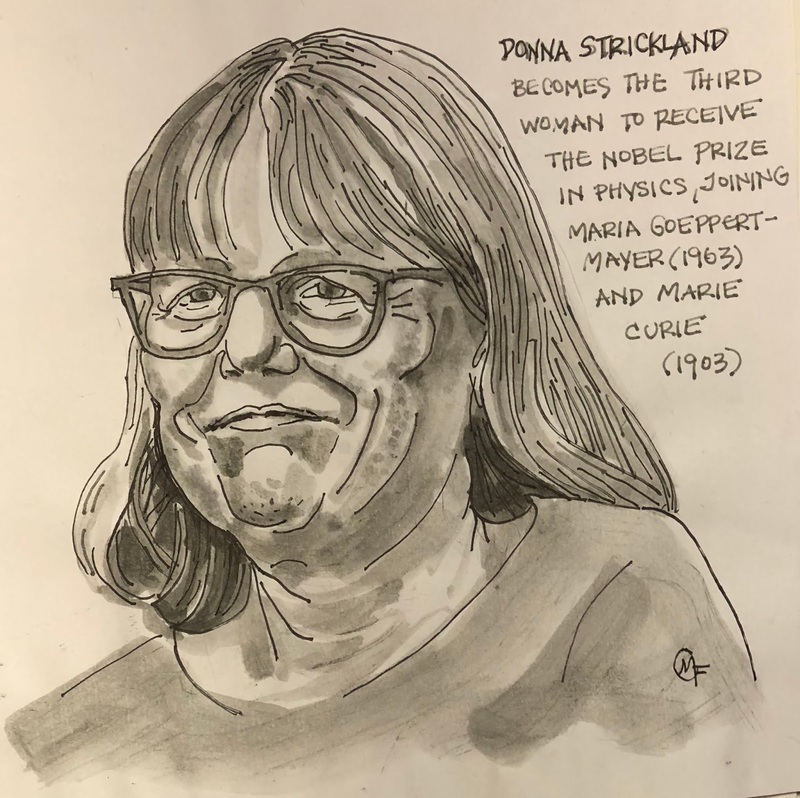 Episode 2 - A Hero Steps Forth - Sister Wendy Beckett takes a closer look at art in the Middle Ages. Episode 3 - The Age of Genius - Sister Wendy Beckett explores famous works of art in Florence and Rome. Episode 4 - Two Sides of the Alps - Sister Wendy Beckett looks at the Renaissance in Northern Europe. Episode 5 - Passion and Ecstasy - Sister Wendy looks at how the Catholic Church used art to counter the Reformation of Rome. Episode 6 - Three Golden Ages - Exploring the golden ages of painting in 17th century Spain, France and the Netherlands. Episode 8 - Impressions of Light - Sister Wendy Beckett tells the story of the Impressionists. Episode 9 - A New Pair of Eyes - Sister Wendy Beckett traces the beginnings of modern art from Cezanne to Klee. 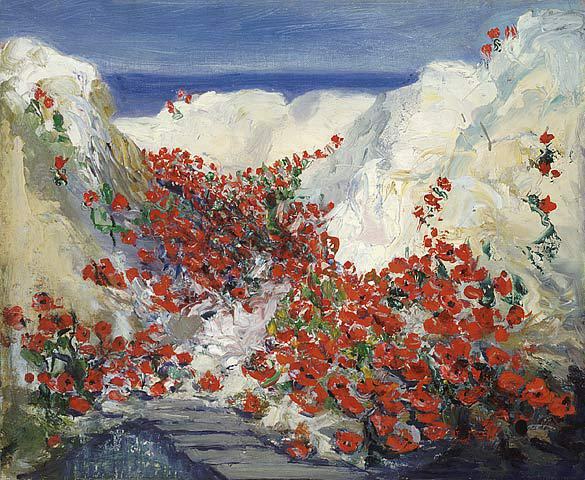 Episode 10 - The Never Ending Story - A focus on the art world that developed in America after the Second World War. I always enjoy visiting Yal's blog. His sketches delight me every time! 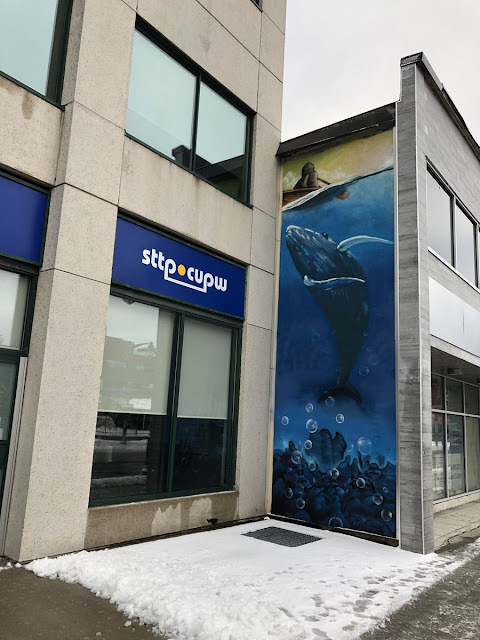 I spotted the amazing mural (below) on Bank Street (at Lewis) and I put out a call to find out if anyone knew who created it? Ottawa artist / illustrator / muralist Dom Laporte identified Dan Metcalfe and Pat Buck as the artists! Jerry Saltz's "How To Be An Artist - 33 Rules"
Checked off Jerry Saltz's Lesson 25: "Learn to Deal With Rejection"
I was surprised that my 8x8 "Frida Kahlo" did NOT sell at the Ottawa School of Art "8x8 Fundraiser"
Lesson 4: Art Is Not About Understanding. Or Mastery. 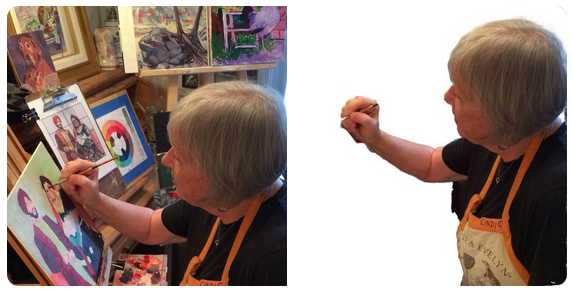 Step Three: Learn How to Think Like an Artist - This is the fun part. 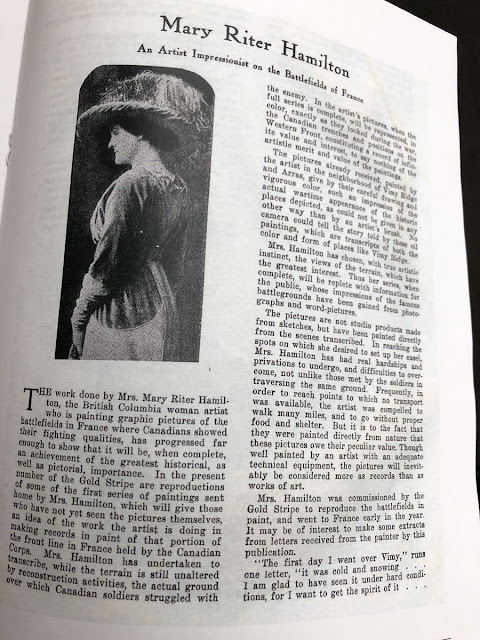 Lesson 18: All Art Is Identity Art! Step Four: Enter the Art World - A guide to the snake pit. Step Five: Survive the Art World - Psychic strategies for dealing with the ugliness (inside and out). I was so excited to be heading to Toronto in the beginning of November to visit and sketch at the Royal Winter Fair, but when I showed up at Exhibition Place, I discovered that the International Alliance of Theatrical Stage Employees IATSE Local 58 stage technicians were still being locked out and I refused to cross their picket line and I sketched them instead. They really appreciated the support and my sketch was well received on social media. 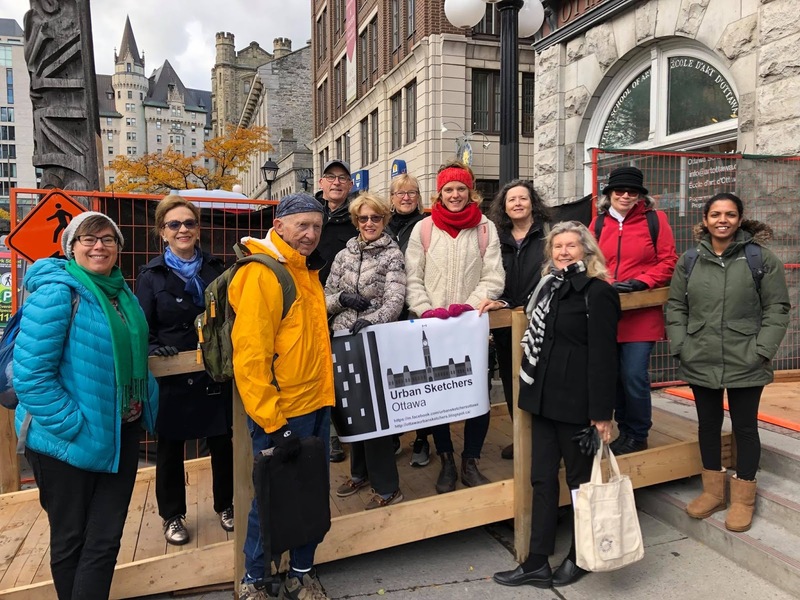 Better yet, on November 15th, IATSE Local 58 voted in favour of ratifying a proposed contract with Exhibition Place, bringing to a close their four-month lock out. 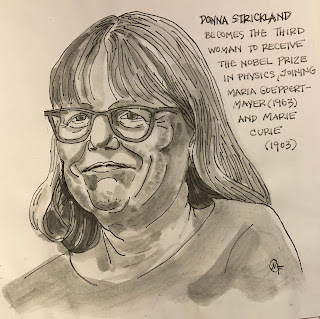 The IATSE 58 folks weren't the only heroes that I sketched in November. 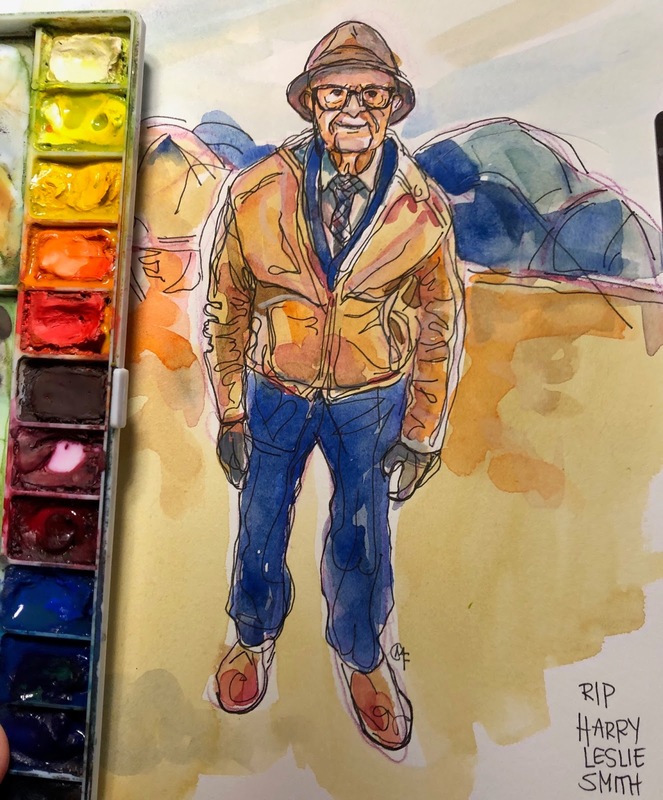 And then I heard about the passing of Harry Leslie Smith who was a WWII veteran, writer, passionate critic of austerity and tireless refugee advocate. I had been following him for some time on social media and when he required hospitalization, I followed his son's tweets to the end. Harry is such an inspiration and I just had to do a sketch of him as well! 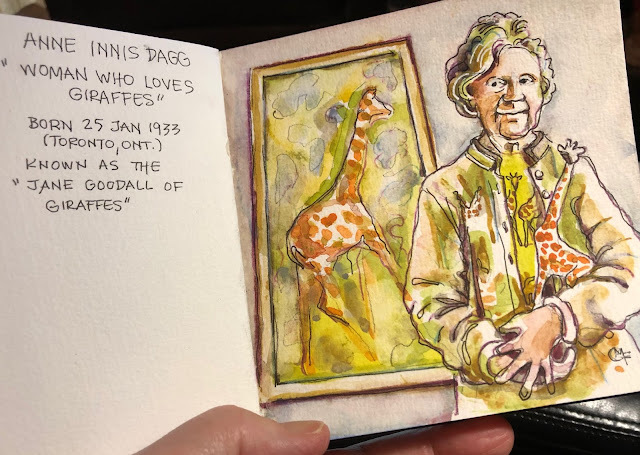 I also sketched Anne Innis Dagg whose time in the spotlight has finally arrived! Her movie the "Woman Who Loves Giraffes" was being promoted and I was surprised to learn of her story for the very first time! How is it that we have a woman who is the "Jane Goodall of giraffes" from Toronto and I have never heard of her? 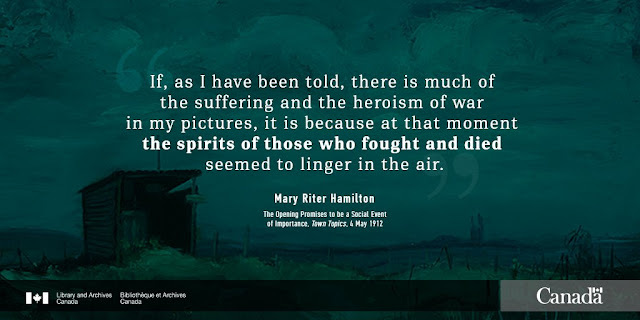 Mary refused to sell any of the 300 paintings that she produced overseas under the harshest of conditions, choosing to donate them to the Canadian people instead. Mary returned in broken health and lived out the rest of her days blind in one eye and impoverished. 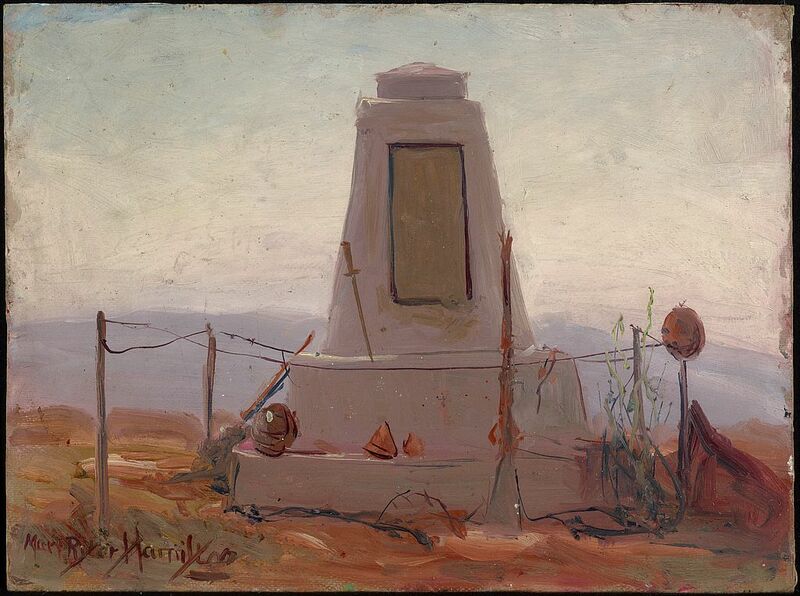 Mary Riter Hamilton painted the temporary monuments and crosses that were built by soldiers during the war. October is a favourite month of mine. The colours of the trees changing, birds migrating, sweaters needed and hats and mittens taken out of storage. Here is a brief summary of some of my October art encounters and activities. Brian had actually put away his paintbrushes for 37 years and he had a work colleague who painted every night. When Brian asked him why he did that, his colleague responded by saying, "I'd hate to reach 85 years of age and discover that I could have been good." Brian is a fan of Ikea Verserum frames (11 x 15, 14.5 x 22.5; and 17.75 x 28.5) because they come with acid-free matts and they are solid wood frames that you can wire. He suggests that you "paint to the frame" when you work. Inktober is a monthly activity created by Jake Parker . Every October, artists all over the world take on the Inktober drawing challenge by doing one ink drawing a day the entire month. There are themes for those that prefer to have prompts but I chose to sketch whatever was on my mind that day. Sometimes, my Inktober inspiration came from research I was doing, current events or things that I spotted on my daily dog walk with Lexie. I was grateful to make my way back to Atelier Denu and DATR (Drawing at the Rooster) this month and it was great! I have been completely obsessed with a twitter list I have called "Farm Life". I spend a good deal of time following quite a few farmers in Wales, North England, Scotland, Ireland and Ontario. These farmers and shepherdesses post a lot of photographs and videos and I often capture the images and sketch or paint them for the pure joy of it . 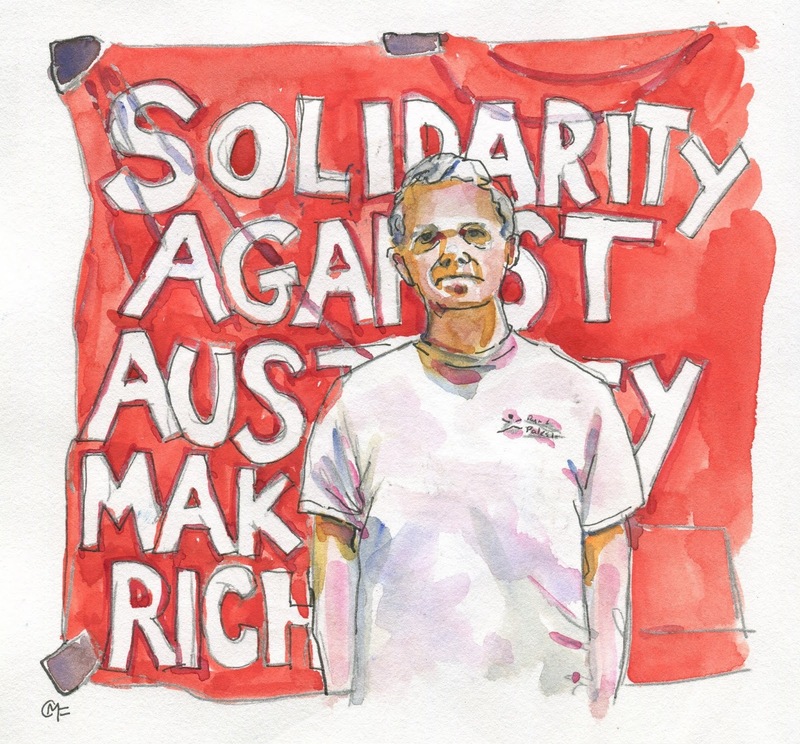 Here are a couple from October in watercolour and acrylic. 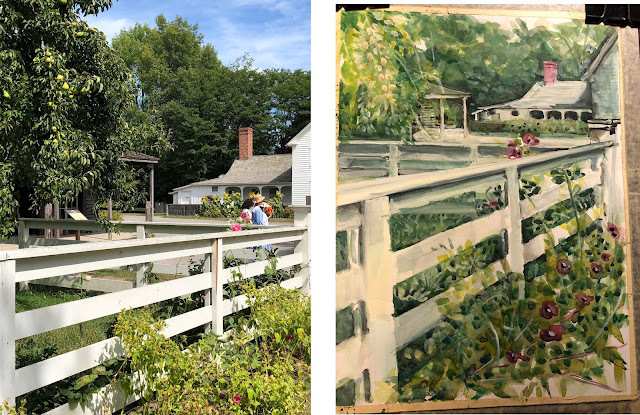 My October Plein Air recap was going to basically report that its clearly getting too cold to be spending long hours outdoors. Recent excursions to Bates Island and the Mackenzie King Estate required mittens and hand warmers and both trips were quite wonderful despite the wind (and snow). 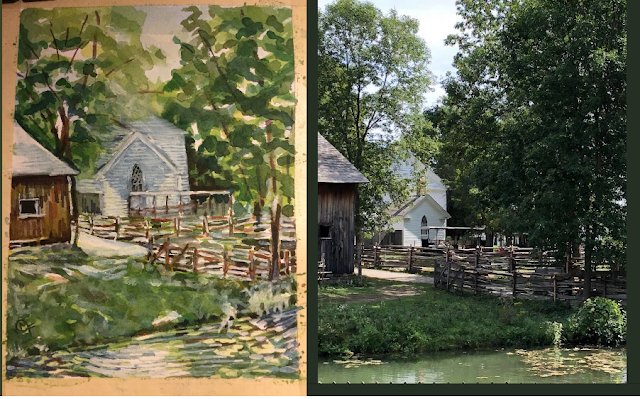 I don't remember reporting on our plein air trip to Upper Canada Village that took place in September. I absolutely LOVED this trip and would LOVE to do it again next year! 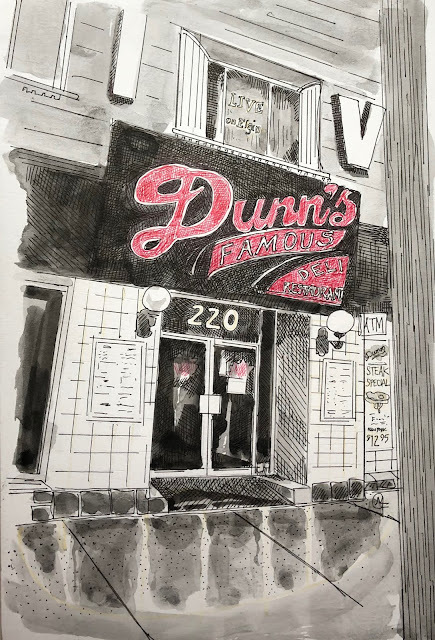 I organized the October Urban Sketching event on October 20th and you can read about the event and see my photographs on my Ottawa Urban Sketching blog. The month of November will begin with another event that I organized for our Urban Sketchers at the National Arts Centre in Ottawa and then the following weekend I will be traveling to Toronto to visit with my family and daughter and also attend the the Royal Agricultural Winter Fair. Then Lexie and I will retreat back into our tiny, cramped studio space and see if we can fill it ALL up with some beautiful art work. 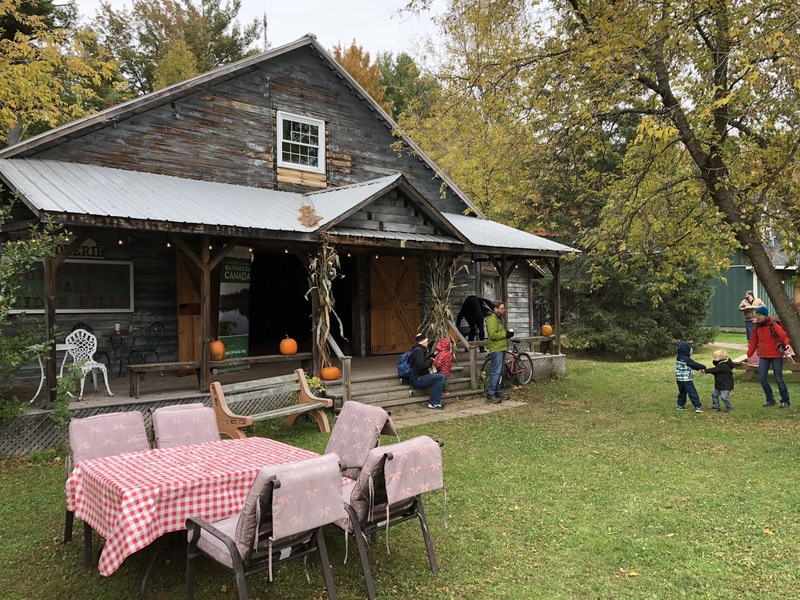 The Dumoine River Art For Wilderness (DRAW) art retreat took place on the Dumoine River in Quebec this past August. 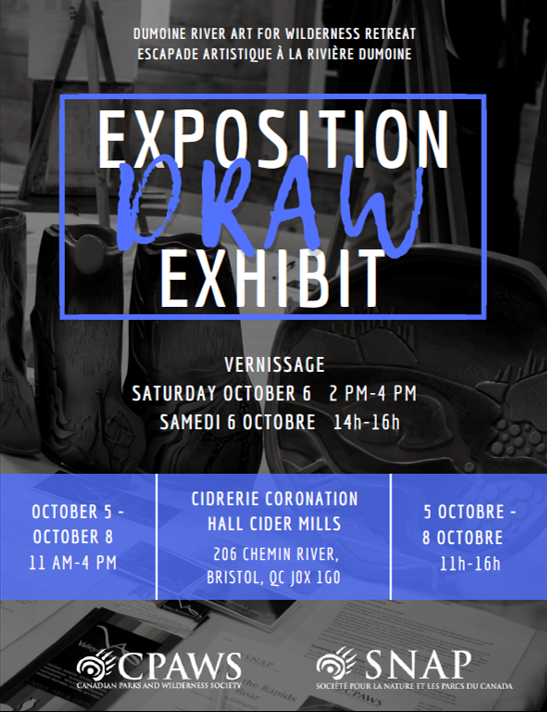 Below, I am sharing some photographs and videos that I took at the vernissage which was held Saturday October 6 between 2 and 4 pm. The painting that I contributed to CPAWS-OV I called "The Last Portage/Heading Home” and it captured artists Becky Mason and Reid McLachlan as I saw them paddling home from our art retreat in August at the mouth of the Dumoine River below Ryan's Chutes. I loved seeing it nestled among all the other artist's magnificent works on the wall at the exhibition. All four walls at the Cidrerie Coronation Hall Cider Mills in Bristol Quebec were covered with incredible art that was inspired by the Dumoine River and I have tried to capture ALL of it, albeit just glimpses that do not do them full justice, in the following videos so that you get a taste of what is available for sale in November. 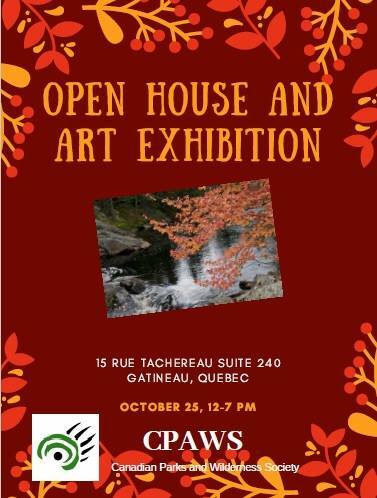 You are invited to an Open House being held by staff at CPAWS Ottawa Valley. Our art from our DRAW retreat will be on exhibition. 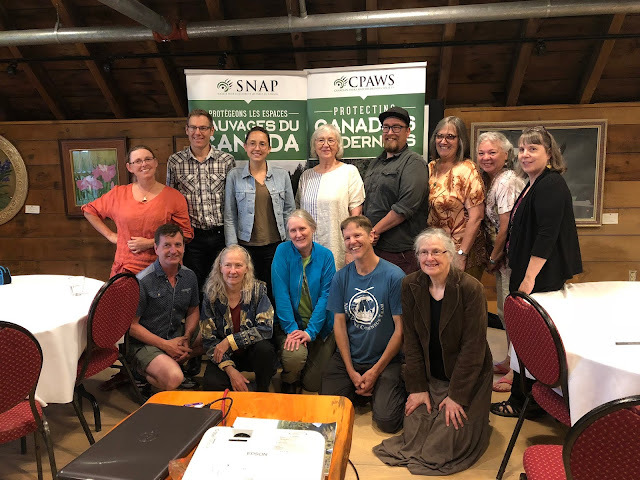 Find out what CPAWS OV is all about. Light refreshments will be served. The event takes place in the Alma Duncan Salon at the Ottawa Art Gallery and we would love to see you there! 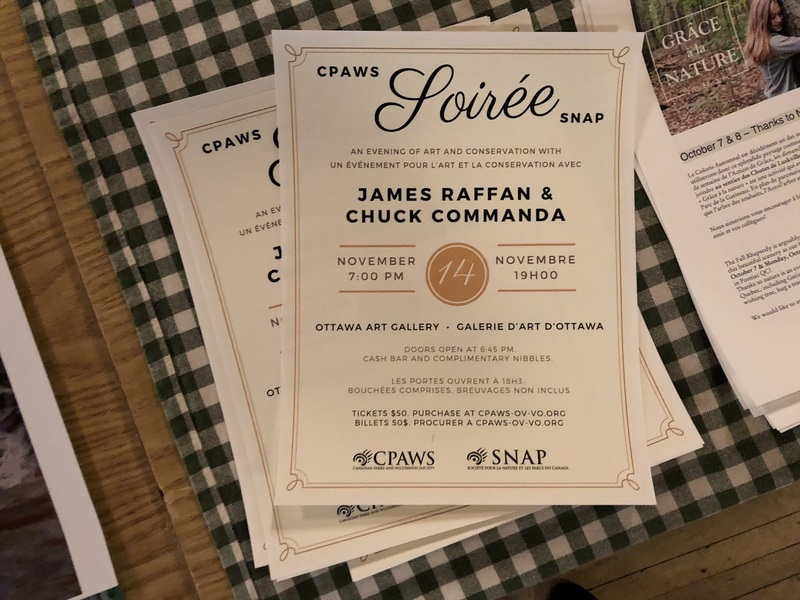 To learn more about the artwork available for auction, please click here (http://cpaws-ov-vo.org/campaigns/draw-retreat). Phil Chadwick Website: www.chadwick.homestead.com/home.htm and www.1-phil-chadwick.pixels.com/, his personal blog and NIUME post. 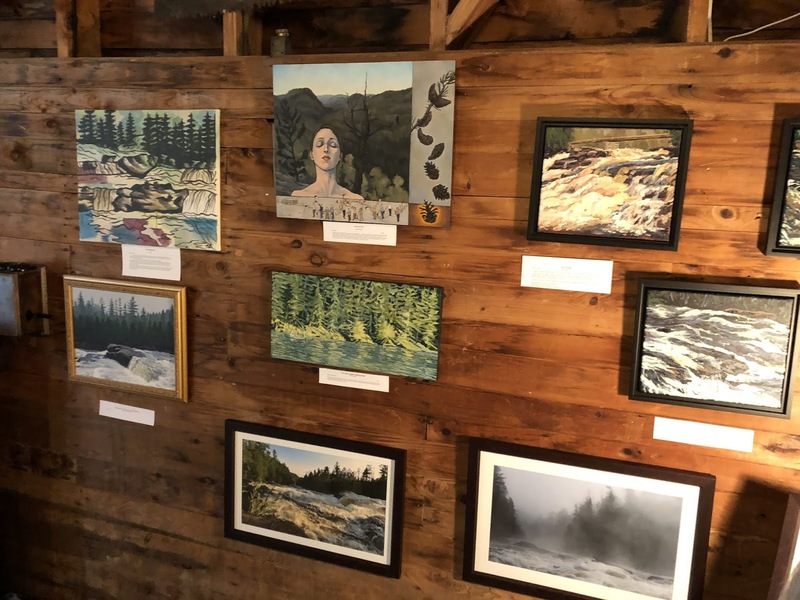 My previous blog posts about the 2018 Dumoine River Art for Wilderness retreat. 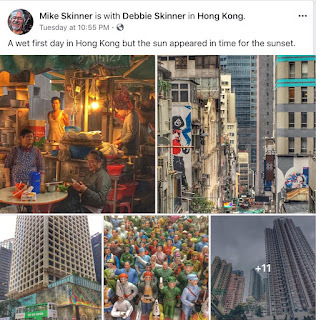 AUGUST 2018: Where Did August Go? Drawing, painting and creating are my oxygen. I love exploring new art techniques and learning about and meeting other artists. I am inspired by my family, nature and poetry. 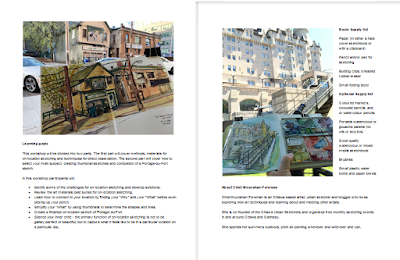 I am an urban sketcher. 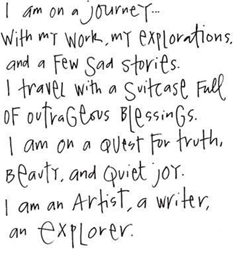 I am on a journey..